The Old Schoolhouse® Magazine Company is currently reaching out to nonprofit state and local homeschool association boards in efforts to help grow all local/state homeschooling organizations around the country. There was a time the magazine company primarily promoted the national organizations and conventions but there has been a major shift to LOCAL and STATE organizations. The Old Schoolhouse® has been working with several state boards specifically with the thought in mind to help them create membership (subscription) sites to grow homeschooling in their states. The idea is to help encourage homeschooling families at the local level to subscribe to or sign up for their state’s membership program for a small monthly fee, payable 100% to the state organization. The Old Schoolhouse® has no interest in any of this revenue. Our mission is to demonstrate what we have done with our SchoolhouseTeachers.com membership platform of paid members who number in the multiple thousands. How can The Old Schoolhouse® assist state and local organizations? In several ways! The owners/publishers and TOS staff will consult with state and local boards free of charge. This consultation will introduce the “membership (subscription) platform” concept. For decades, state boards have tried to monetize with a yearly mailed-in payment model. Families received support all year long – and may or may not have sent in their checks. A membership site brings the board’s entire constituency under one umbrella where content can be dripped at intervals set by managing board members. A monthly fee is automatically collected each month. This is 100% payable to the organization to continue supporting its member families. The Old Schoolhouse® is happy to share contacts and information regarding perks from curriculum companies. If you offer discounts or freebies to your constituency, they’re likely to find more reasons to stay (and continue being auto-billed monthly by the board). The Old Schoolhouse®’s own membership platform, SchoolhouseTeachers.com is a very popular family education site for home educators. Streaming video content, over 300+ courses for students preschool – high school, parental help (how to get started in homeschooling), community, attendance/record-keeping tools, report card and certificates of achievement generator tools and tests/quizzes and answer keys for parents – these are just some of what makes up SchoolhouseTeachers.com. Any state or local group may (free of charge) apply to receive three months of FULL service (unlimited) for each of their paid members. This alone will encourage more members to sign up for your state membership because of the free and clear gift of SchoolhouseTeachers.com. The Old Schoolhouse® Magazine Company’s social media has a reach of close to two million – the Facebook fans alone number 175,000. 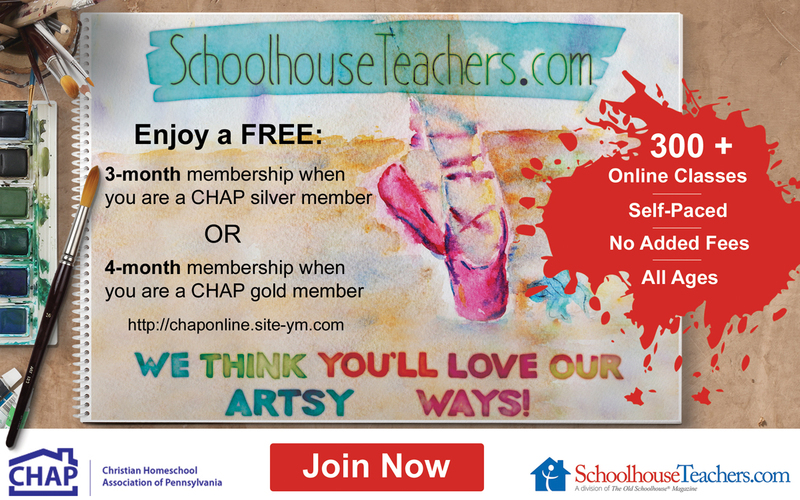 State and local boards participating in the free three month gift for their members of SchoolhouseTeachers.com can apply for free shout-outs on the TOS Facebook page regarding upcoming conventions and events – no charge. To set up a conference call or to initiate an email conversation, please contact the publisher at Publisher@TheOldSchoolhouse.com. Again, there is no cost. TOS Magazine does not sell membership platforms. This will not be a sales call, as TOS has no interest in selling you anything. The goal is to grow homeschooling on the local and state level, and because of existing experience with membership sites, The Old Schoolhouse® can assist you – for free.